I've created chapter containing only images with caption. All images shall have fixed width (\textwidth), height is always unknown (image shall be correctly scaled). Current behaviour: chapter title is broken to next page, image itself is displayed to the same page although it doesn't fit. 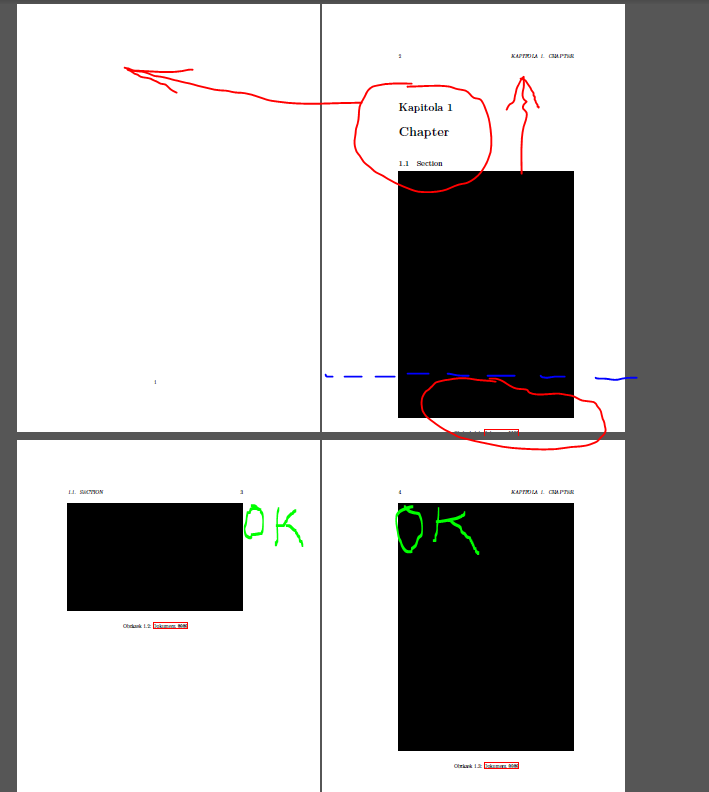 Expected behaviour: chapter title stays on the first page, image is displayed to next page if it doesn't fit the previous. Interesting is that for further images it works - if image doesn't fit, it's rendered correctly to following page. 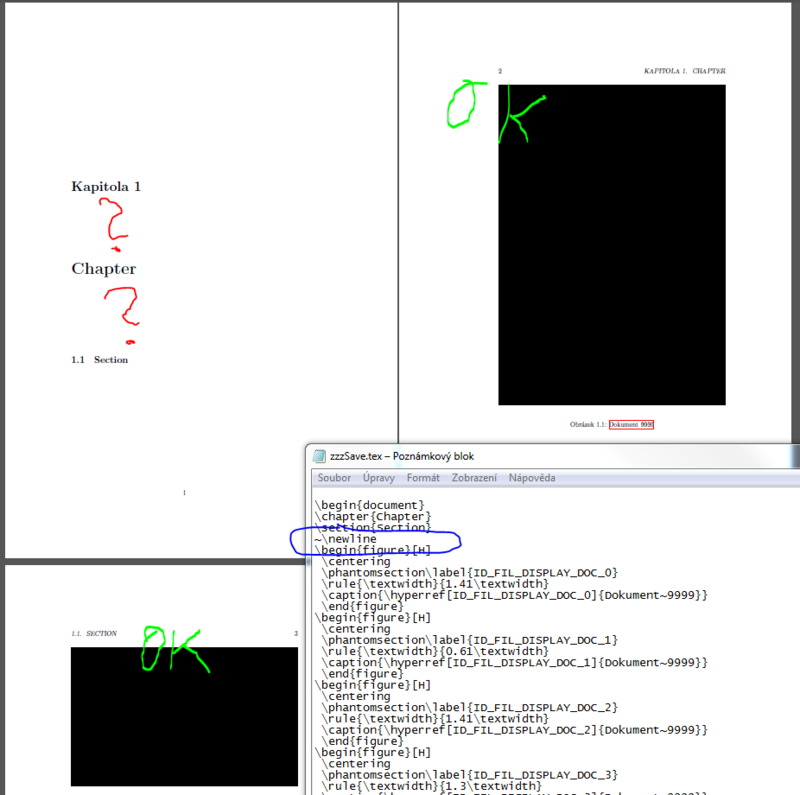 Question is simple: how to display first image in chapter correctly? Solution shall be universal - for tall images which don't fit to page together with chapter title and for wide images which fit to the same page (so forcing page break doesn't help, height of images is unknown). Browse other questions tagged page-breaking chapters includegraphics or ask your own question. How to place a float at the top of a floats-only page?